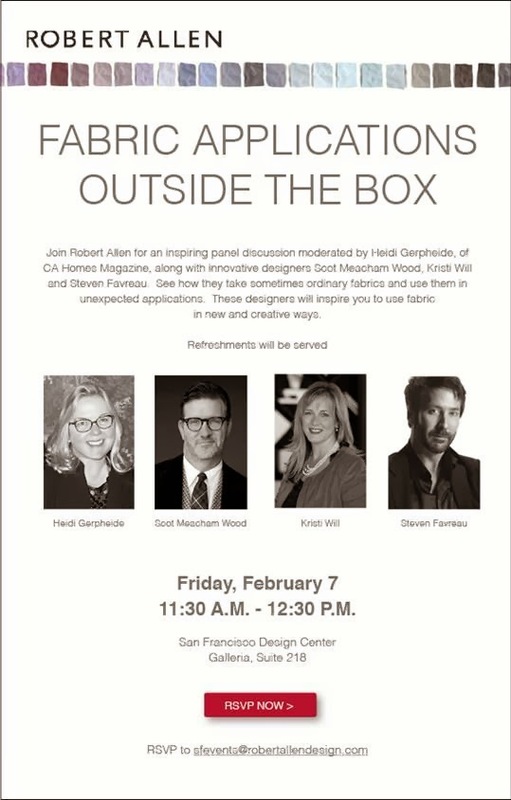 the adventures of tartanscot™: "Design San Francisco - 2014 . . . "
I wish I lived in San Fran, I would love to attend this panel discussion. I run a small custom furniture business, to the trade, and have been creating pieces "outside the box" using designer fabric. With the gorgeous designer fabrics of today, you can really create some wonderful statement pieces.